Being a Pisces born on February 20th, your intuition and selflessness are amongst your most defining qualities. You are very aware of your emotions and those of others, which explains how you seem to notice when someone is upset before anyone else. Your friends and family would be the first to admit that you "just know" when they are feeling down, but they would also say that you are the first one to offer support. You are truly selfless in the fact that you will always put the needs of other before your own. In some cases, this translates into extreme circumstances, but you are just as likely to put things on hold to lend a supportive shoulder or ear. 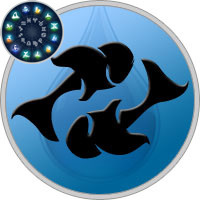 Water is your sign’s paired element and of all the zodiac signs, you have the only mutable connection with the element. Your connection with water gives you the qualities of a flowing stream, as you are fluid and adaptable with your words. As is the case with all water signs, your relationship with water allows for great comfort on the rocky seas of emotion. Embracing the influences of water will allow you to gain emotional understanding and compassion, but avoid an overindulgence in the emotions, which can lead to moodiness. The Pisces is ruled by the planet Neptune, and as you were born in the first Decan, or part, of the sign, you are entitled to a double dose of Neptune’s planetary influence. Being the planet of refinement, Neptune’s power is reflected in your sensitivity, vision and compassion. More so than any of the other Pisces Decans, your planetary influence makes you a romantic dreamer. You embrace poetic beauty and have often found yourself in the depths of romantic fantasy. You are naturally positive and trusting. Although this makes you vulnerable, it is one of your greatest strengths as a compassionate human being. If your planetary influence had one downfall, it would be the tendency to take on the emotional burdens of others. Even though your selfless nature allows you to accept this burden, it is important to tend to your own emotional needs as well. In love, find a partner that shares in your romantic view and does not take advantage of your trusting nature. A Pisces born on February 20 is attuned to the spiritual mysteries of life, and religiosity can become an obsession. They possess a phenomenal memory. Their intelligence is more an esoteric understanding than an analytical skill. They have high ideals.